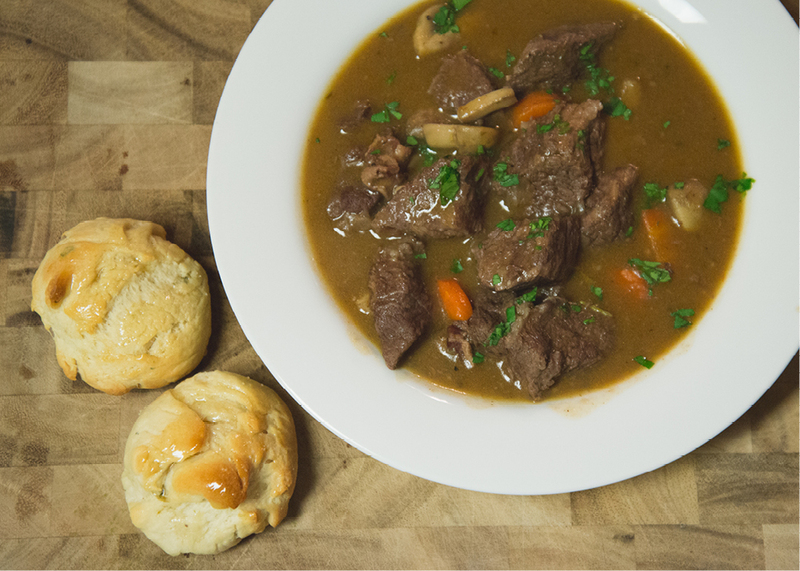 a few weeks ago i tackled a classic recipe with an unusually scary name, beef bourguignon. this dish is a pretty simple beef stew but with an amazing depth of flavor created by the addition of red wine. we paired this stew with some fresh rolls & called it a night! 1. position a rack in the center of the oven and preheat the oven to 300 degrees. 2. to make the bouquet garni, wrap the rosemary, thyme, peppercorns and bay leaves in a cheesecloth and tie into a packet with a kitchen string. 3. bring a small saucepan of water to a boil over high heat. add the pearl onions and boil until the skins loosen, about 2 minutes. drain and rinse under cold running water. use a sharp paring knife to trim off the tops and tails; peel the onions. pierce each with the tip of the knife to help hold its shape during cooking. 4. heat 2 tbs of the oil in a large dutch oven over medium heat. add the bacon and cook, stirring occasionally, until browned, about 10 minutes. use a slotted spoon to transfer the bacon to a platter, reserving the fat in the dutch oven. 5. season beef with the salt and pepper. increase the heat to medium-high. working in batches to avoid crowding, add the beef and cook, turning occasionally, until browned on all sides, about 8 minutes. use the slotted spoon to transfer the beef to the platter with the bacon. 6. return the heat to medium. add the onions and cook, stirring occasionally, until golden brown, about 6 minutes. stir in the garlic and cook until fragrant, about 1 minute. add the wine and bring to a boil, scraping up the browned bits in the pot bottom with a wooden spatula. stir in the broth and tomato paste and add the bouquet garni. return the beef and bacon to the pot and add the carrots. return to a boil. cover the pot with aluminum foil. and then cover with the lid. 7. bake until the meat is very tender when pierced with a fork, about 2 hours. 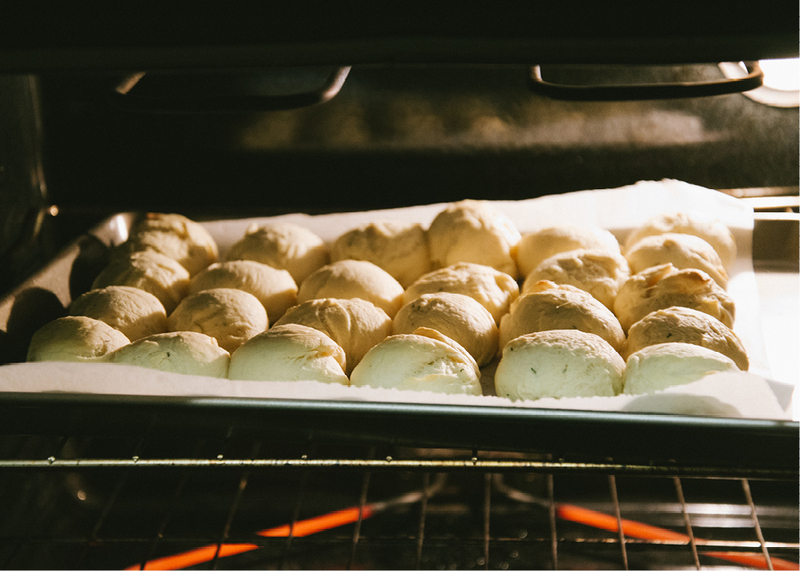 remove from the oven and skim off any fat from the surface of the cooking liquid. discard the bouquet garni. 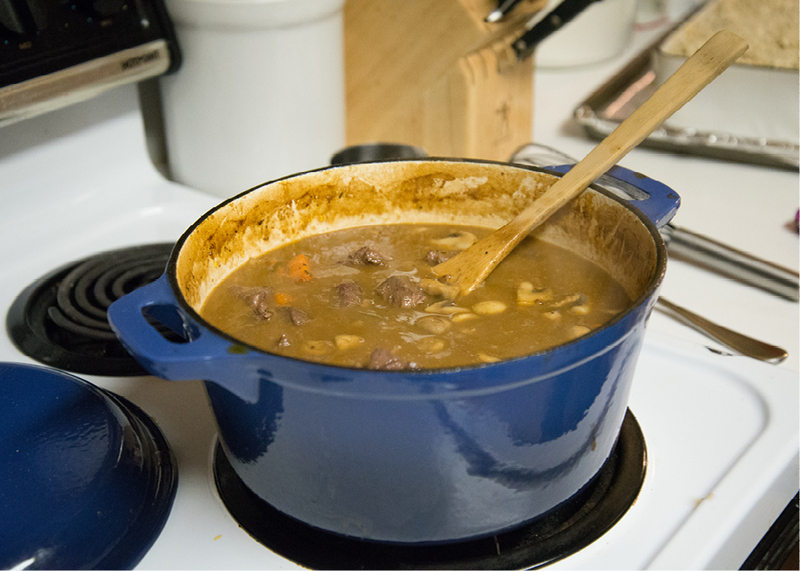 put the dutch oven on the stove over medium-low heat. 8. melt butter in a medium saucepan over medium-low heat. whisk in flour and let bubble without browning for 1 minute. remove from the heat and whisk about 11/2 cups of the cooking liquid. stir this mixture into the stew. simmer, uncovered, until the sauce thickens and no raw flour taste remains, about 15 minutes. 9. meanwhile, heat the remaining 2 tbs of oil in a large skillet over medium-high heat until hot but not smoking. add the mushrooms and cook, stirring occasionally, until their liquid has evaporated and they are sizzling and browned, about 10 minutes. stir into the parsley. this stew can be served over rice, with some mashed potatoes or with rolls/bread to soak up all of the left over broth! trust me, you won't want to waste any of the broth! this recipe may appear complicated to make, but it really isn't that hard...and trust me, it is SO worth it! I made this a few weeks ago from Ina Garten's recipe and wanted to do a blog post on it too. So yummy and perfect for this time of year !! Thank-you X100! I was wanting a good stew recipe... looks amazing! I love to make this! It is better the next day or two for left overs! This always reminds me of Julia Child (probably because of the Julie/Julia movie) and always seemed so intimidating. Yours looks amazing! Ooohhh this looks so very yummy.... I am definitely drooling here, LOL..